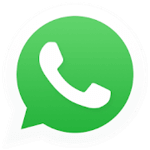 Over a billion people uses WhatsApp Messenger to stay connected. 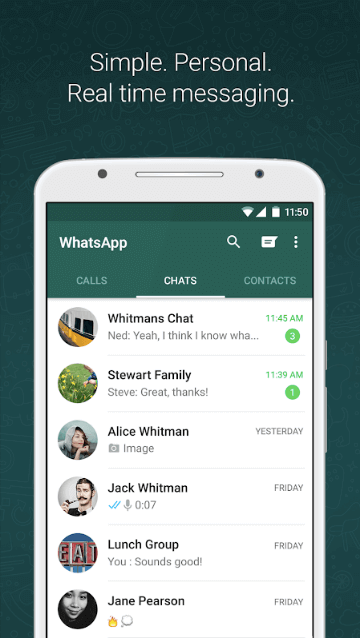 Free download latest version of WhatsApp app for Android, iOS (iPhone/iPad), PC & Mac. 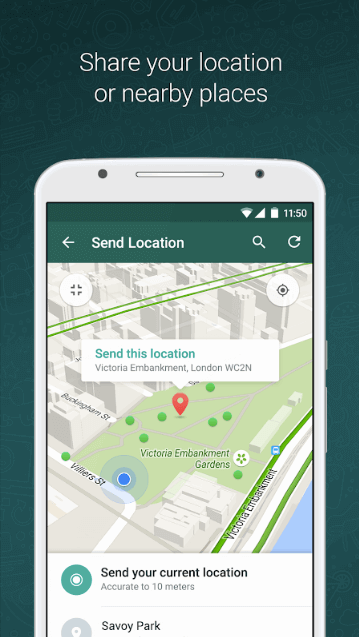 All messages supported with end-to-end encryption. 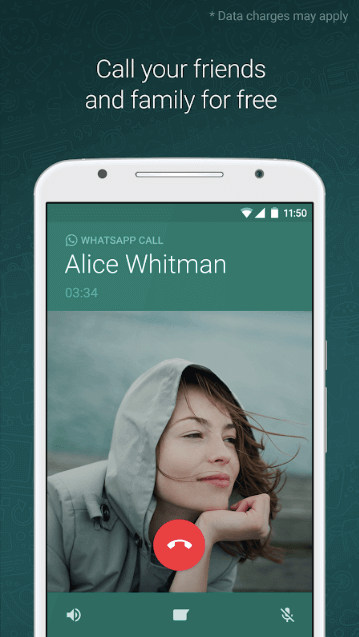 Unlimited calls (including international) and texts for free. Simply works with phone number. No usernames or pins required. 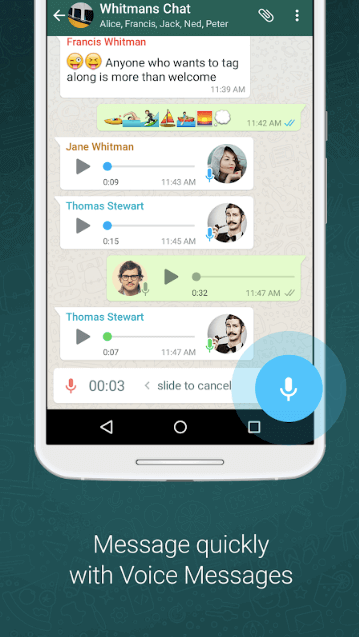 Sync with your existing phone contacts who use the app. 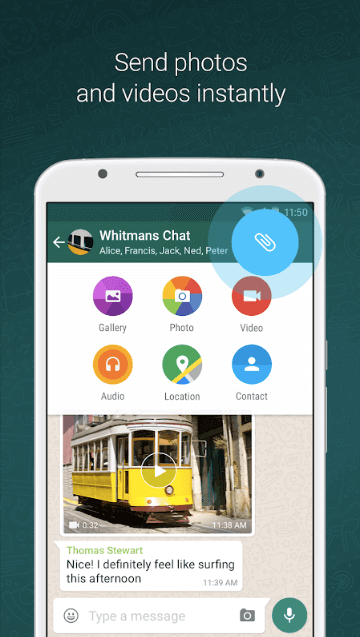 Clean UI, instant messaging, very easy to use.